The Delhi High Court in Wilson Mathew v. State held that Security cheques per se would not get out of the ambit of Section 138 of the NI Act. The Delhi High Court dismissed a plea seeking a ban on screening of ‘MSG 2: The Messenger’, on Wednesday, on the ground that the film’s trailer depicts a fantasy to the viewers and has to be understood in that light only. The Delhi High Court issued a stay till the next date of hearing on October 12th, on the ongoing trial of Congress leader Sajjan Kumar in a 1984 anti-Sikh riots case after a plea sought transfer of the case to a different Judge. Delhi High Court on 15th September stayed the condition that member of the society or an individual or a Director of a company cannot be a family member or an immediate sibling of any current employee of the Transport Department, is stayed. Congress Leader Ajay Maken on Saturday filed a PIL in the Delhi High Court, accusing the Delhi Government of not taking preventive steps to curb the outbreak of dengue in the city. The PIL is likely to come up for hearing on Monday before the Bench of the Chief Justice. The Gujarat High Court has upheld the ban on Mobile Internet imposed during the Patel quota agitation in the state. 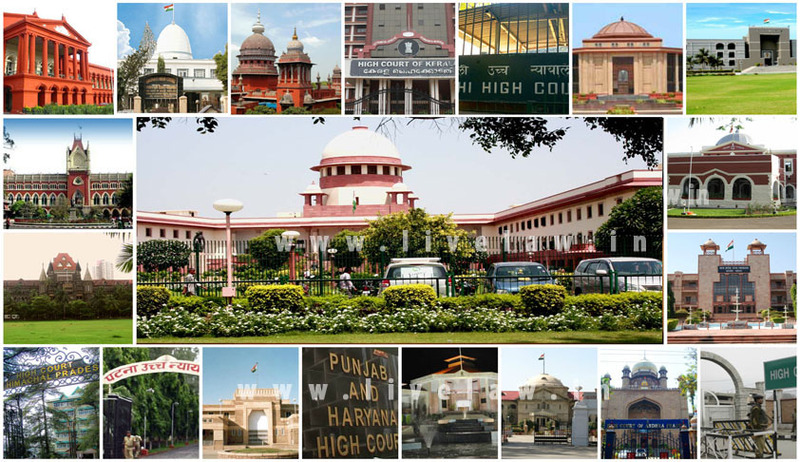 A Division bench of Justices Jayant Patel and N.V. Anjaria said “Rioting had taken place at various places and the State would be zealous to control the same by applying all modes available in law”. Gujarat High Court on Monday quashed an FIR against certain lawyers who had restrained another lawyer from attending Court proceedings in view of the boycott resolution passed by the Bar Association. The FIR was filed with Anand Police Station, upon an order passed by a local Court. Justice J.B. Pardiwala quashed the FIR in view of the settlement reached between the two parties. Offering respite to information technology service providing companies such as Infosys Ltd., a Division Bench of the Karnataka High Court has reportedly ruled that such companies are not liable to pay Value Added Tax for software “implementation” process, which happens after installation of customized software. The Madras High Court has provided temporary relief to NGO Greenpeace India as it ordered an interim stay for eight weeks on the cancellation of Greenpeace’s registration under the Foreign Contribution Regulations Act (FCRA). The court directed the organisation’s advocate to serve notice to the Ministry of Home Affairs (MHA). Madras High Court on Monday directed the State Government to take action against the continued disruptions being witnessed within the Court premises and initiate declaration of the High Court as a High Security Zone.